Savvy cannabis professionals use conferences to drive their success. Here’s why. Business gets done by people, not companies. Bringing the brightest minds, rising stars and serial entrepreneurs to a single location drives commerce. In short, face-to-face events are where more business gets done than anywhere else. As more states adopt cannabis legalization, thousands of new professionals join our industry every day. And that means the value of the business conference and trade show is more important than ever before. Conferences matter, and if you’re not attending at least one a year, you should be. Every person at the conference has the potential to be a valuable resource. Every professional in attendance is there to help the industry grow – just like you. 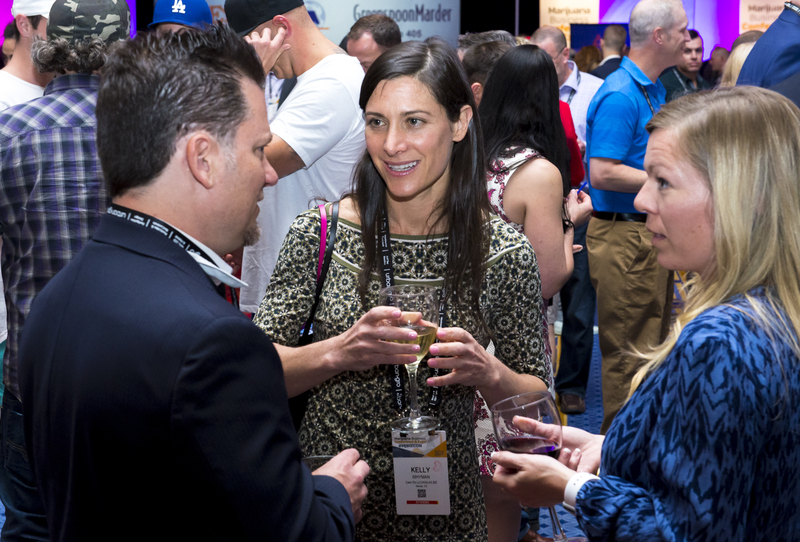 There’s no other setting that gives you the ability to meet thousands of your peers from across the country as well as investors, clients and partners. Plus, you’ll get tremendous benefit from being around your competitors. The cooperative and collaborative spirit in the marijuana industry is unparalleled, and one company’s success can serve as a road map for yours. This is an industry growing by billions of dollars a year, requiring infrastructure, equipment, training, expertise, and more. If you are just entering the market, you can reduce your lead time to launch by months by meeting with hundreds of relevant suppliers all in one location. It gives you the opportunity to see, feel and touch the equipment. If you’re an established cannabis company, staying on top of the latest trends and newest innovations is critical to maintaining your competitive edge. In an emerging industry like the legal cannabis market, the willingness of the community to share knowledge is strong, meaning you can learn a lot in a short amount of time. Reducing your learning curve can be the difference between your company making it or not. Well-vetted conferences offer a variety of programming that includes expert sessions, panel discussions, keynote speakers, and peer-to-peer learning opportunities that can give you keen insight into modifying your strategies and tactics for top business results. You’re there to learn about the industry from others, but they’re also there to learn from you. This industry is a collective, and your participation makes a difference. In conclusion, a business conference is the single best resource you have today. It is a catalyst for deal-making, investments, and business and personal growth. We hope you’re able to find one that’s the best fit for your needs and most importantly, we hope to see you out there this year!